Ibrox Noise: Was Barrie McKay Ally Mcoist's biggest success? Was Barrie McKay Ally Mcoist's biggest success? Ally McCoist’s failed managerial reign at Ibrox has been documented and dissected ad nauseam. There are few who would deny the man was not a success as a manager for Rangers, and current manager Mark Warburton is rightly hero-worshipped for the difference he has made since taking over last year. However, one of the biggest sticks fans beat McCoist with is that of the success of Barrie McKay under the Magic Hat, where Super instead ditched him out on loan or left him on the bench. It was evident from the lad’s debut as a 17-year old at Brechin that he was special. This entry from some years back highlights what was obvious to all and sundry at the time, and examines the puzzling nature of his disappearance from the first team at Ibrox back then. 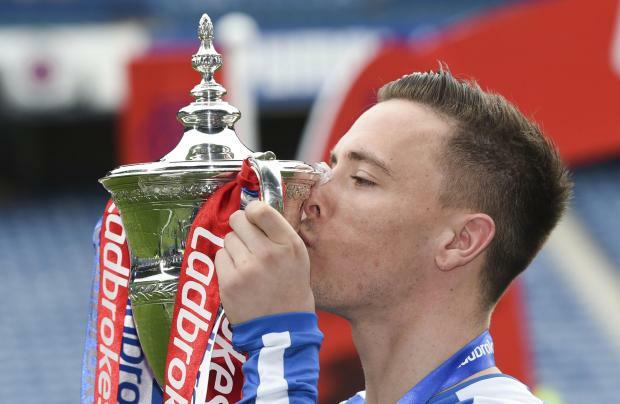 However, and forgive me for indulging perhaps in a bit of contrary debate, could there be a case that Barrie McKay has ended up being one of the very few things Ally got right? There is a strong argument that a zippy young winger, under pressure to perform at Ibrox, was green in a way fellow youngster Lewis Macleod could get away with. The demands on wingers to be consistent and produce lavish flank play and a killer final ball are massive, and in the ‘physical’ Third Division where hatchet jobs got carried out on Rangers players frequently, is there a fair argument to defend McCoist’s decision to put the lad out on loan? For all we know, and in time it will all come out, Ally saw the brilliance of the kid and did not want the pressure to curtail his development, so elected to send him to much less pressured environments where he could develop properly in senior football. And now Mark Warburton has decided it is time for the lad to stamp his authority on Ibrox and become a star. Which he most certainly has done. Of course this could all be wrong – McCoist may just have plain bungled the McKay situation and three years later Rangers’ star winger is finally being given the chance he should have long ago; but it is only fair to try and look at both sides of the coin rather than taking the scenario at face value. He might just end up having been McCoist's most important managerial legacy at Ibrox. I think the problem with this theory is that we were desperate for this creativity last season and he wasn't called upon. We risked promotion on players with nowhere near his ability, so it doesn't fit for me. Maybe in the Division 3 season, and you could stretch to season after, but a third season suggests there was more to it than this. lets see some magic tonight barrie 4.0 to the bears watp. Only Mark Warburton rejuvenated young Barrie. His head went way, way down when he left to go elsewhere. He had already been discarded by Kilmarnock and probably thought the worse when he was asked to leave once more. I think without Mark Warburton young Barrie's present situation could be very different indeed. Aye you're right second time round, McCoist plain bungled the McKay situation. this is just showing it was not all allys fault, the players need to play. Way too soon to judge after a season in the Championship. Best not to hype the lad up too much and instead let him go about making a name for himself in the top flight. Agree the players need to play & Play every FKN week as if there lives depended on it FFS we pay money for this sh*te im just hopin the buddies dont spoil it at the weekend, I hope W& W have gone in that dressing room & had a go FFS surely they could get hold of big gough hes knockin about the place often enough send him & he'll remind them what it is to play for THAT JERSEY!! If we play the same way as we have played recently, we will have no Scottish Cup and no Europa League.